Situated in the heart of Loch Lomond National Park, these stunning holiday properties (refs SVVD, SXXO [Chestnut Cottage], SXXP [Willow Cottage], SXXQ [Primrose Cottage], SXXR [Ivy Cottage]) have been lovingly restored and furnished to provide wonderful retreats. Auchendennan Farm Cottage (SLLX) is a single-storey holiday cottage; within the house there is a large family sauna which can be used as an ideal way to unwind. Outside on the sun decking, there is a sunken hot tub which is large enough for all the family and powerful enough to give tired muscles a proper massage. Rose Cottage (SRRG) is a single-storey conversion adjoining the owner’s farmhouse. Combining modern and traditional furnishings, the property boasts a superb hot tub and external sun decked area for relaxing and unwinding. Burnbeag (SVVE) is a stunning, detached cottage to the rear of the steadings and has a stream running through its private enclosed garden, which has a decked area, pond/fountain feature and hot tub. Courtyard Studio (SVVD) is a modern, single-storey barn conversion set in the courtyard, behind the main house. Open-plan living/dining room with sofa bed (for alternative sleeping only) and modern kitchen area. Solid oak floor throughout. Double bedroom with 5ft bed. Bathroom with over-bath shower and toilet. For a better idea of where Auchendennan - Courtyard Studio is, you can see Auchendennan - Courtyard Studio on the map below. 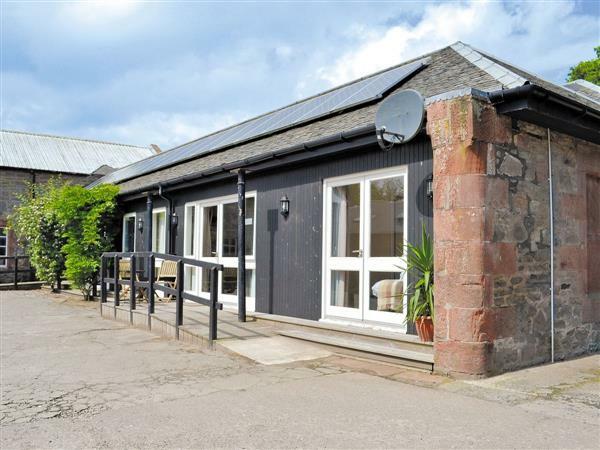 Do you want to holiday near Auchendennan - Courtyard Studio (SVVD), you can see other cottages within 25 miles of Auchendennan - Courtyard Studio; have a look to find your perfect holiday location.